Cylindrophis ruffus is the name of the red-tailed pipe snake (bad python-y pun) which can be found in Hong Kong where the author Leo Goodstadt comes from. 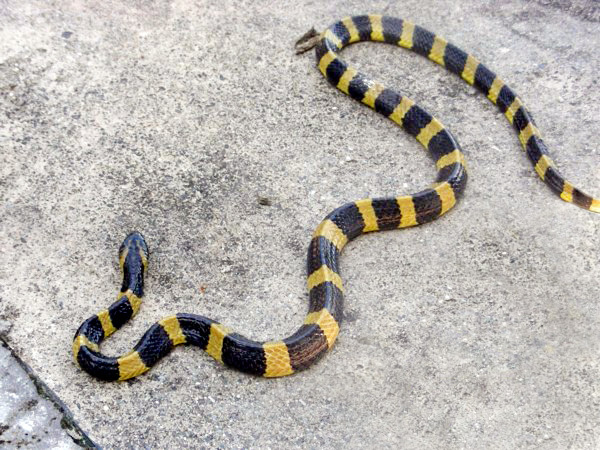 Ruffus is a shy creature, and pretends to be a cobra or a banded krait by putting up its red tail and ducking its head in its coils when startled. Be careful not to step on one when running down country park lanes at full speed in Hong Kong: this snake is a rare breed! Ruffus does most of its work at night and sleeps during the day: typical of many (but alas not all) python programmers! 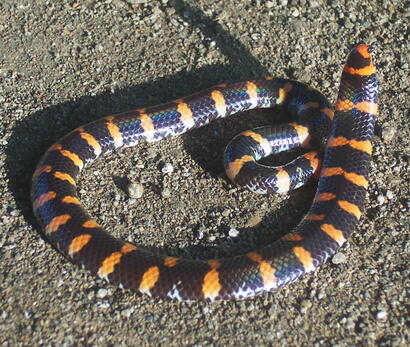 The original red-tail pipe and banded krait images are from wikimedia.